Conclude each program with a comprehensive TEST. 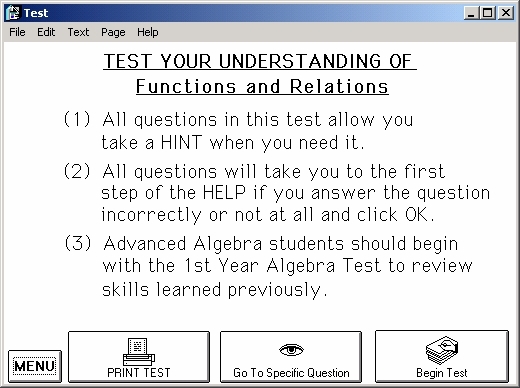 Print the test and use it as a pre-test or post-test. OR, use the test as a learning tool for students to engage in a complete review of all topics learned in the body of the program. In any case, the test can be corrected at the computer with detailed solution steps available upon demand.